The book celebrates the diversity and range of women's strength. It is an exciting anthology which showcases 14 crisp and wonderful stories about varied women whom the author met during his childhood, college days and his tenure in the IB. The stories paint life as it is rather than trying to be didactic, though there is a strong element of heroism in most of them. 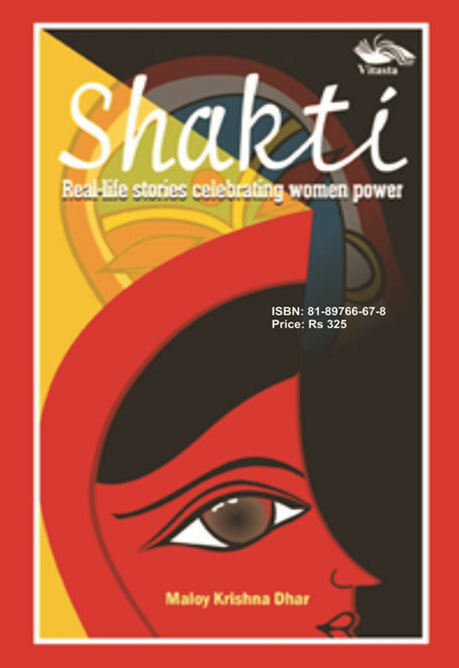 From portraying the undying love of his friends from college days, to the harrowing account of a riot victim, a famous starlet's fight for her real identity, the author has woven a beautiful tapestry which throws abundant light on the foundation of all creation - Shakti. Maloy Krishna Dhar, an exIPS was seconded to the Intelligence Bureau, a platform that offered him in-depth perceptions and insight into Indian politics, insurgency, counterterrorism, counterintelligence and other ground realities of the nation. After retirement he took to freelance journalism and authored many literary works like Open Secrets–India’s Intelligence Unveiled; Fulcrum of Evil–ISI, CIS, AI Qaeda Nexus, Operation Triple X, Black Thunder and We The People of India: A Story of Gangland Democracy.